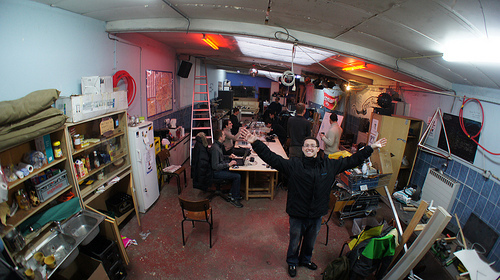 What's it take to create a hackerspace? So, in case you haven't figured it out, I'm really getting into this hackerspace area. I'm a member of denhac (www.denhac.org) and on it's board of directors. I'm working with my town to try and get them to create a municipally sponsored hackerspace (which I'm calling a makerspace because the word hacker, still, makes some of the more conservative types cringe). I'm trying to figure out how this can fit into a communities educational system, it's local businesses, it's civic structure and the overall infrastructure of the town it exists in. And it should exist in every single town. At first, some people thought hackerspaces where just a fad.